GoPal is a concrete example of how Industry 4.0 is contributing to the development of smart factories. 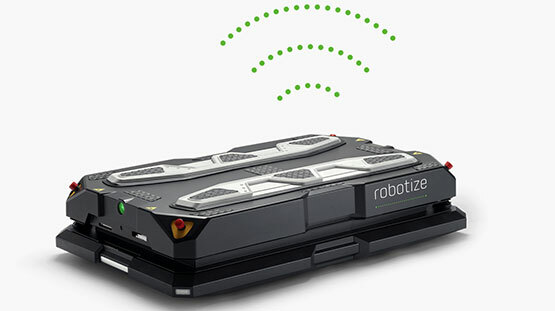 In collaboration with Prevas, the Danish company Robotize has developed autonomous logistics robots with functions otherwise unmatched in the global marketplace. 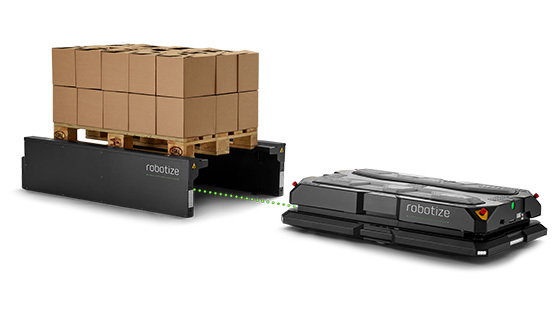 Robotize is a young and forward-looking company that was just recently founded in June of 2016 but with a clear vision about the solution they wanted to develop: Autonomous robots – or self-driving vehicles – for internal logistics handling of EUR pallets. They began searching for software developers and looked at various technical solutions as early as within the idea stage. The next step was to employ an industrial designer, and it was then that they initiated discussions with Prevas and business development manager, Nikolaj Hanson. Could Prevas perhaps lend a hand with the development? Even if Anders had previously worked with both Prevas and Nikolaj and things had always gone smoothly, the idea from the beginning was only to use Prevas for certain parts of the product development. This is how Prevas came into the picture in continued planning. They sat down together to sort out the challenges and opportunities – with several improvements as a result. Once Anders and his colleagues had obtained better and digital documentation, work accelerated. By January of 2017, they already had a first operable prototype of the GoPal robot. 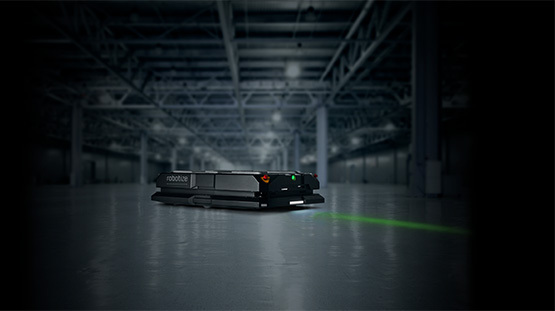 When a GoPal is installed in a storage area or warehouse, it maps its surroundings, surfaces and objects, with LIDAR as it moves around. All data is stored in a central database where it can be combined with other information. The information in the main computer is not just used to prevent collisions and find the best routes, it is also used to determine which unit will pick up when and where, and it prioritizes movements to optimize logistics handling. The database can be connected to the parent warehouse management system (WMS), which Nikolaj says makes it a truly smart Industry 4.0 system. Without correctly addressing the safety aspects, nothing can work, according to Nikolaj. It is fine and well to talk about smart factories, but without proper safety, it is just talk. Once the safety issues have been resolved, there are many smart solutions that can be connected together as a comprehensive system for enterprise resource planning (ERP).